Early Morning to 12 Noon. 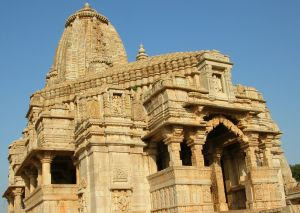 Jain temples are located near to jaisalmer and the deities of temples are Rishabdevji and Sambhavnathji. A travel to Jaisalmer will definitely be incomplete without a tour to the beautiful sand dunes where the wind is an artist creating different designs on sane. 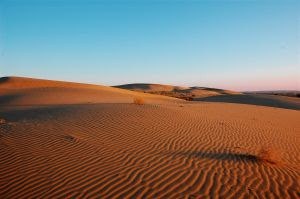 These panoramic sand dunes are located about 42 kilometer from Jaisalmer. The Museum and Desert Culture Center is where which providers travelers a detailed perspective of Jaisalmer and its people and culture. This museum located jaisalmer has got wide range of coins which were in use, different type of textile goods, weapons used by kings, and traditional, age old musical instruments music instruments used in rajasthan and fossils excavated from the desert. Jaisalmer is located in the desert region of rajasthan and water is scarce in this region. A artificial lake has been created to store water in this place, it is called Gadsisar Lake. Its main purpose is to store precious rain water. It is a great tourist attraction and a spot for picnic by the local people. When we think about rajasthan, one of the first thing which come to our minds is the the beautiful havelis(mansions) built by the kings in the foregone era. The orgin of these havelis dates back to centuries and most of them are more than 300 years old. The major havelis are Salim Singh-Ki-Haveli, Patwon-Ki-Haveli, Nathmalji-Ki-Haveli. The architecture and artistic value of these havelis are worth watching. Jaisalmer is a place where on can ramble here and there and see some exciting things. When looking at the history of jaisalmer, the city was once completely surrounded by a wall extended and still one can find remnants of the wall. One can spot this city with the massive fort that rises over the city and is the main piece of attraction in jaisalmer. The fort houses a township with markets, palaces, temples and Havelis exquisite cut sandstone. Now a days these houses are national treasures and art galleries which are inhabited at present. In the world tourist map jaisalmer in Rajastan has a unique position with much about its courageous people, its people and culture, colorful festivals and trades. most beautiful architectural splendours of Rajasthan, including the famous Jaisalmer Fort, the haveli of Patwon ki, ki of Nathmalji the haveli, the haveli ki Salim Singh and Tazi dominate among other tourist attractions in Jaisalmer. To other tourists not to be missed attraction in Jaisalmer is the beautiful lake Gadsisar. As i have already said a travel to Jaisalmer will be incomplete without an exciting came safari. Most of the tourists who are visiting this used to take a ride on camels which will definitely be an unforgettable experience. With regard to a traveler the climate of the destination plays an important role in planning the holidays. Better find the best time to visit a destination by talking with your travel agent in jaisalmer. One will be able to turn around in the city only if the climate is good. When talking about the climate in jaisalmer the city f jaisalmer has got typical desert type climate – extremely hot summer days with cool nights and bitterly cold winter with freezing cold nights. 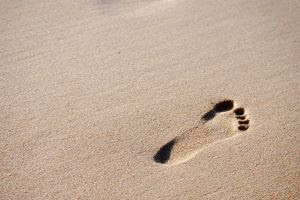 The summer season between the months of March/April and August/September is not just hot but also prone to frequent dust and sand storms accompanied by high velocity winds. Rainfall is minimal with the region barely receiving 15cm of rain annually. Now you know which is the best time to visit jaisalmer if it is summer then it will be to hot during the day time and if it is winter then it will be too cold during night time. Chamba an ancient city located in himachal pradesh is situated at an altitude of 996 meters is on the bank of the River Ravi. Surrounded by more broad range Chamba preserved ancient culture and heritage and Chamba is known for its temples and crafts. At the center of the city there is a spacious playgroung called Chowgan a grassy ground, about 805 meters long and 73 meters wide, where people meet for gatherings and some events are being organised there. The chamba town is connected by regular bus link with Chamba Dalhousie and Pathankot. Chamba is 122 kms from Pathankot. Chamba has preserved the cultural heritage and civilization which dates back to the ages. Customs, culture and habits are unique when compared to other part in the state of himachal pradesh. Locations in chamba like the hills and mountains s, rivers, lakes, springs and streams, forests and green meadows are the best and unique in the whole world. The temples in chamba are specially designed and have resemblances to the temples in the state of rajasthan and among those temples 6 of them are must see ones. The jungles around Dalhousie and Chamba abounds in wildlife. In the higher regions near the snow line are to be found, the leopard, the ibex and marmot snow. Th at the lower altitudes of brown bears, and musk deer, leopards and wild pigs are seen. Pheasants, partridges and wild poultry are found in all parts of the valley. In a recent move to promote tourism industry in the location picturesque historic town of Chamba in Himachal Pradesh and secure a position in the world tourism map plan was developed by the department of language and culture and was submitted to the government for approval. The standards include tracking down the old historic structures, including ancient temples, which are archaeological and architectural value. The language and culture, after undertaking a detailed study on the heritage of the city, the department had sent a proposal to this effect for consideration by the government. Last week a flight from Trivandrum to Kuwait which is the first of it offered by Air India Express. In the maiden flight from Trivandrum to Kuwait there was 132 passengers including 62 from Trivandrum international airport. Air India Express plans to operate one flight every week to Kuwait and later the frequency of flight operations will be reviewed based on the number of passengers. Along with this newly launched the air India express has got operations to nine destinations in the Middle East which are Kuwait, Muscat, Dubai, AbuDhabi, Sharjah, Al Ain, Salalah, Bahrain and Doha. The embalmed days and relatively high temperatures at night in the hills of Himachal Pradesh have once again shattered the hopes of thousands tourists visiting the state of himachal pradesh to experience snowfall. As per information from the weather information office, night temperatures will begin to change after 26th of this month and minimum temperature in himachal is close to 12.7 degree Celsius which is the highest recorded in the month of january. Tourist who are already on a tour to himachal to experience snowfall has to return disappointed because the possibilities of snowfall in the temperature at a distance. Similarly, in Bhuntar near Kullu and Dharamsala the headquarters of the government-in-exile of Tibet, the minimum temperature Saturday was 8 degrees Celsius and 10.1 degrees respectively. Lots of tourists, who are from the northern part of india, have completed popular tourist spots on Saturday to celebrate the windfall extended holiday weekend. For a traveller what is there to see and experience in the city of jaipur. Jaipur has got lots of forts and palaces which one can visit during the sight seeing tour. Here is a list of some of the most visited destinations in jaipur. If you hasnt gone to these places while you are in jaipur, your jaipur tour will definitely be an incomplete one. So go on an visit these places the destinations has got lot to offer for you. Dont forget take snaps!!! Amber is located at a distance of 11 km from Jaipur and was the highlight of the old clan Kachhwaha of amber, which used to be the capital until it was moved to Jaipur. The construction of the Amber Fort began in the year 1592 and was started by Man Singh I, but it was finished by his descendant Jai Singh I. Outside the fort is not in the minors as its interiors. The light outside is very imposing and rugged while the interior is a consolation and heat inside, which is influenced by Hindu and Muslim model ornamental. On the walls are paintings depicting various hunting scenes, and there are a lot of work on the walls, which are covered cutting complex mosaic and work mirror minute made the halls look very majestic and imperial. The fort was built with white marble and red sandstone and looking more attractive because of the lake Maota in the foreground. The fort itself is a beautiful sight to see, but as one looks on the fort with its clear reflection on the lake in front, one can not help but wonder if it's a dream or a beautiful illusion. Amber Fort also called Amer Fort is a must-see if you visit Rajasthan. Tourists to this strong can approach the fort by road or take a tour of an elephant, but it is quite slow, however, are great fun. If you are in Rajasthan, do not miss the opportunity to travel to Amer Fort, one of the major strengths of the city and one of the main attractions of Jaipur. The city of Jaipur is known for its many palaces and forts, which are a major attraction for tourists in Rajasthan. One of the important landmarks of "pink city of " is the complex of palaces of the city. The city palace was built by Maharaja Jai Singh II of Kachhwaha clan of Rajputs, but a lot of changes and additions were made to the original structure by his successors.The architecture of the palace city is a synthesis of models of Rajasthani and Mughal. The complex structures of many, of course, gardens and buildings. There are many small palaces and magnificent halls in the complex, such as the Chandra Mahal, Mubarak Mahal and Badal Mahal. There is also a famous temple called the Shri Govind Temple and a museum within, called the Palace Museum city. The Hawa Mahal, which touches the wall of famous city palace was built in 1799 by Maharaja Sawai Pratap Singh and has now become the main landmarks of Jaipur. The palace is shaped like a pyramid and is building five-told, with the number of small windows and screens, with arched roofs. As one looks at this building, one realizes that the back of the building is comparatively very flat and lacks a lot of adornment. It is rather surprising in contrast, since in the division before it is complex and much attention has been paid the same meticulous detail yet is behind a mass of pillars and passages. Since the Hawa Mahal was built at a time when women of the royal families had to observe strict purdah, many believe that the Hawa Mahal was built, just so the ladies could watch the parades and the various activities taking place on the streets . This explains why Hawa Mahal has such tiny windows and many balconies protected. The royal ladies could look below to show people and enjoy a sense of freedom. The Hawa Mahal is a great example of the Rajputana architecture, which was strongly influenced by model Mughal architecture. This particular model of the building that we observe in Hawa Mahal, uses the best features of Mughal architecture with other configurations that could better adapt to the inhospitable weather conditions of Rajasthan. Among such natural beauty is the temple complex that is three centuries. In the complex is the temple dedicated to deoji and Natawarji by Govind, and also a garden, called the Kanak Bagh. The side of the river valley east of Dharbawati, which earlier passed through the city of Jaipur but has now become more or less a lake Mansagar. The valley has received there are about 280 years appointed by the governor and the founder of Jaipur, Sawai Jai Singh. Strangely, the Kanak Valley prompted the governor to think of Vrindavan, where Lord Krishna spent his childhood, which is why an idol of Shri Govind Deoji (an incarnation of Lord Krishna) was installed here. Even now the place has not lost its meaning and is considered a sacred place, which is why during the many festivals such as Gangaur and Teej, the procession ahead of amber are stopped here to pay respect to the Lord . When you visit this place now, we are shocked to hear that for years this place has been completely ignored by everyone and was rapidly crumbling. Monitors, splitting complex, and the vaults chhatris have seemed to fall apart. If this were not bad enough, even the vegetation and natural environment of the place deteriorating rapidly. Fortunately, before it was too late, restoration work started on this site and other damage was prevented. The Laxmi Narayan is located in the south of Jaipur, and was built by the Birla family, which is an important industrial family in India. This is why the temple is also called Birla Mandir . It is situated quite near the stronghold of Moti Doongri, which was converted into a small palace by Ram Singh II and Gayatri Devi. Bearing in mind the secular nature of the country, the temple has three domes, which represent different approaches to religion. It is a beautiful white marble temple, which seems to glow at night. The Birla Mandir in Jaipur attracts many tourists and devotees every year. The temple is very squeezed during festivals while Hindus come from all parts of the state and the country to pay respect to his lord. The next time you have a holiday, come to Jaipur and visit the Birla Mandir, dedicated to Lord Vishnu and Goddess Laxmi. he serves has always been fascinated by the universe and the cosmos. With each year we have been thinking step closer to revealing the secrets of dark skies. But just because we're close to discovering the key or knowledge to perform asylum 't even crossed the threshold yet. Even our ancestors and the people before us, could not resist the temptation and made attempts to learn more about the mysteries of time and space. Maharaj3a Sawai Jai Singh II, the Rajput ruler of amber and the founder of Jaipur was a learned man and an astronomer who was deeply interested in the workings of celestial bodies and so we built the observatory, known as Jantar Mantar. The name the Jantar Mantar comes from Sanskrit 's Yantra mantra of of the instruments and the meaning of the formulas. Sawai Jai Singh II was commissioned by Emperor Shah Mohamed, to make corrections in the astronomical tables and to confirm the data already available in the planetary positions. Sawai Jai Singh II took seven years to finish the task. He built the first stone observatory in Delhi in 1724. The Jaipur observatory was built in 1728. There is really a fascinating story regarding the construction of the observatory. According to history, Sawai Jai Singh II sent his envoys to various parts of the world. The emissaries were returned with manuals and astronomical tables besides tons of data on progress in the fields of astronomy. The rent of the 's tables were one of these manuals, and impressed by him, Sawai Jai sings II called for the observatory to be built according to data available here. Amazing, after it was built Jantar Mantar, the observatory was discovered that was more precise than the table itself. Rambagh Palace was built in 1835 by Queen of Jaipur but later converted into a house hunting and a guesthouse. After a bit of modifications, the palace was made fit to be the residence for the Maharaj3a of Jaipur. He was finally turned into a heritage hotel in 1972 and is now operated by the group of hotels, a major name in the Taj hotel industry. The Heritage Hotel Rambagh Palace has seen many illustrious guests, for example, Lord Mountbatten, Prince Charles and Omar Sharif. At a distance of 15kms from Jaipur, stands the imposing fortress of Jaigarh. He also drew strength of victory, stands strong in the middle of Jaigarh thorn-scrub hills that provide a more severe and the strength of prohibition. As one approaches the strength of the steep road that leads to the main tube, the Dunga Darwaza, one can not help but comment on the stunning view of the city offers down. The fortress was built to encourage Jaigarh over the defense of Amer, so one should not be surprising to find that the strength unlike most of the palaces and forts of Jaipur is absolutely plain and simple. It has the graves and all the features you expect from a town and made right. The highlight of the trip on the strength of Jaigarh is definitely the Jaivana, which is the world the 's largest canyon in the wheels. Built in Jaigarh the 's smelter in the year 1720. Many say that the gun was used only once and the ball fell alguÌ n 35Kms away in a village. But that 's quite doubtful, since a closer inspection revealed the gun was really turned on at least a couple of times. The fortress has a lot of wide water channels, which were part of a rainwater harvest system. There are 3 underground tanks at the fortress, the largest of which could store 60.00.000 gallons of water. An interesting story about this tank is that, many believed that contained the hidden treasure but unfortunately the Indian government wanted him and did not find anything at all. Jaipur is quite famous for its beautiful lakes and strengths, but how would you like to see a huge green cultivated a beautiful garden in the capital of Rajasthan? You're watching a green patch in the middle of the dry soil sterile, one can not but be surprised at the contrast, and exactly how it feels like a look a the Sisodia Rani Ka Bagh in Jaipur. Sisodia Rani Ka Bagh was built by Sawai Jai Singh for the 's wife, the queen of which was Sisodia Udaipur. The garden is located on the Jaipur-Agra road and is about 10 km from Jaipur. The garden is presented in the style of Mughal garden and a multi-tiered levels, which sources, water channels and many painted pavilions. The garden was the perfect place for the enjoyment of the beautiful queen of the cool breeze and fresh air. Many say, the garden were built while a cure Queen the 's nostalgia, but some insist that the queen will find gardens to be the perfect place to escape the charms of court. Regardless of the reason for its construction, no one can deny the beauty and charm of this magnificent garden. Filled with forts, palaces and many royal buildings, the city of jaipur shows the remnants of the powerful Rajput Dynasty. The city of jaipur, located in the desert lands of Rajasthan state is one of the foremost planned city of India. The city of jaipur once was the capital of the royal rajpur dynasty is now a days the capital city of Rajasthan. The make the buildings of Jaipur resembles the taste of the Rajputs and the Royal family of the by gone era. Situated in the beautiful hills of the Aravallis, Jaipur is the pristine jewel in the desert sands of Rajasthan. It is a fact that the city of jaipur is world famous for its marvelous architecture and town planning as it is. For a rajasthan traveler this colorful city or other wise called the pink city of india has got lot to offer. More that just see what is there in jaipur one can also look out for traditional handicrafts, jewelry, clothes and ethnic crafts. Many travel agents in india are organizing honeymoon tour packages, camel safari packages, yoga and meditation tour packages for those people who want to enjoy the state of rajasthan in different ways. Explore the culture and heritage of jaipur, experience the way of living in jaipur, find new customs and traditions of rajasthanis with jaipur tours. Why elephant safari is so special. One thing is that you can travel on the back of the biggest animal on the earth and other thing is that it helps the visitor to travel through such difficult terrains which are not accessible to vehicles. More than this safari on the back of an elephant give you a feeling that you are living in a royal era, when only the kings use to ride on these majestic beasts and that feeling is incomparable and unique. With regard to an elephant safari the elephants are equipped with a howdah. In most of the images of elephant safari one can see a large seat on which people can sit. This seat is called howdah. Mostly the seating is upholstered one with soft silk cushions, and a ceremonial umbrella over the riders head. In earlier days, during the time of kings, elephants which kings used to ride are more decorated that today's elephants. The elephant safari is ideal for traveling in and around wild regions because the elephant moves slowly and steadily which can provide you an easy excess for viewing the wildlife. More of all a elephant safari tour in the tropical wildlife sanctuaries of India gets you up, close and personal with these majestic animals. During your ride, you can watch the wild elephants taking bath in the water ponds. The photographers can easily take pictures of the wilds while riding and as a souvenir of the amazing journey into the wilds, take one with the elephant too. For an animal lover and a nature enthusiast to ride on the back of an elephant or to spend some time with the elephant is a unique opportunity. In kerala elephant safari is being offered in Kumily, Thekkady. Thekkady one of the Eco Tourism destination and a lies close to Periyaar wild life sanctuary is being visited by people from all over the world. Take a tour of the Periyar sanctuary on motor launches in search of wildlife and you'd be surprised with what you see. Periyar Wildlife Sanctuary is the best elephant hub, any animal lover would love to check out. From the rooms of the forest rest houses provided by the Kerala forest department to the tourists within the vicinity Periyar, you can get a wide-screen view of the whole sanctuary. Periyar is one of the safest elephant sanctuary in India. Elephants have never been known to attack a tourist when compared to other elephant sanctuaries. During an elephant safari in rhekkady one can feed the elephant, have a photo session with them, shower with the elephant, command the elephant and communicate with them and how elephants are dragging timbers. Thekkady Elephant Safari programme offers one a rare opportunity to experience the ride on an elephant. According to your interest you can spend with an elephant from 30 mins to one and a half hour on a destination where the gentle breeze refresh one with the spice-scented air. Indian cuisine is famous the world complete with its sophisticated use distinguish spices and herbs. Indian cuisine is vegetarianism strongly influenced by widespread and long sections of India of 's most Hindouism and Jain communities. Very integral to Indian culture is the kitchen and love Indian food among its large population, kitchens differed depending on the community, region and state. 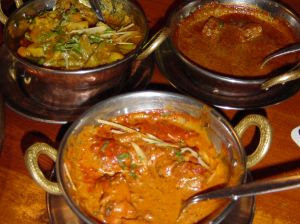 Indian cuisine is delightfully unique with a wide variety of foods, spices and cooking techniques, each with its distinct taste. Each religion, region, caste and has left its own influence over Indian food. India. Vegetarianism came to prominence during the rule of Ashoka, one of the largest Indian rules which was an instigator Buddhism currently, 31% of Indians are vegetarians. In India, food, culture, religion, and regional festivals are all closely linked. Indian cuisine of meat and fish is often influenced by the Muslim population Rice, atta (whole wheat flour), and almost five dozen varieties of pulses form the staple of Indian cuisine with more be important Chana (Bengal gram), toor (pigeon peas or chick peas), urad (black gram) and mung (green gram). Chana is usually used in different forms and can be used whole or processed in a mill that removes the skin, such as moong Dhule or dhuli the urad, and can also be sometimes mixed with rice and khichri (a food that is good for digestion and like chick peas, but smaller and more tasty). Indian dal is exclusively pulse except Chana. Chana is often cooked whole for lunch and is processed into flour (besan). More Indian corroie are fried in vegetable oil. Vegetable oil also is different varieties. In North India, groundnut oil is traditionally the most popular étée to fry, while in eastern India, The essence of sénevé is generally used. In South India, the coconut oil is common. In recent decades, sunflower oil and soybean oil have gained popularity across India. The hydrogenated vegetable oil, known as vanaspatum ghee, is also a popular cooking medium. The spices are the most important part of the flavor of Indian cuisine. The most important spices in Indian cuisine are chilli pepper, black mustard seed (rai), cumin (Jeera), turmeric, fenugreek, ginger, coriander and asafoetida (hing). Garam the masala spice is a very important and is a powder of five or more spices dry, generally consistée in the cardamom, cinnamon and cloves. Some leaves are commonly used tejpata (malabathrum), bay leaf, cilantro and mint leaf which adds to the zing any tasty recipe. The use of curry leaves is typical of the southern Indian cuisine. Cardamom, cinnamon, nutmeg, saffron, and essences of rose petals are some exclusive and costly spices usually used in sweet dishes. Dairy products such as milk, paneer, ghee (clarified butter) and yogurt are used in higher proportions in the northern Indian kitchen while the South Indian cuisine uses the same dairy products in large quantities. The sauces in the northern Indian juice are typically based on dairy products and the use of thickening agents such as pulp nail cashew and clove. Candy milk prices are also very popular, being a particular specialty in Bengal and Orissa. Other common ingredients include chillies, saffron, and nuts. The pancake the roti "or Indian 'paratha " (flat bread) are usually cooked with the use of a to "tawa " or a gauffreuse while baking as bread 'naan "" Kulcha ' and 'khakhra is usually done in a large cylindrical oven called coal "The tandoor " even a popular dish known as "tandoori " chicken is cooked in the tandoor. The other type of breads include puri and bhatoora, which are made by the cook in the fryer cooking oil, are also common. Most of the north Indian food, like anywhere else in India, is vegetarian. There is an amalgamation of cuisines throughout India. Fish and seafood are very popular in the coastal states Orissa and West Bengal. A series of lentils, vegetables and roti (bread wheat based) are the staple food of most of northern India. The preparation of these varieties can vary from one place to another. Some of the northern Indian dishes more popular include: Buknu, Gujiya, Chaat, kachauri of daal ki, jalebi, imarti, several types of canned pickles (known as achar), murabba, sharbat, pana, Engine Air-Air papad and Poha. Another famous snack famous throughout India and belonging to the North Indian cuisine is "Samosa . Nowadays it is common to get in other parts of India as well. The filling of the most common is a Samosa potatoes, fried, and crushed, although a variety of fillings to make the most favorite and most delicious hot across India. There are several popular sweets (mithai) as of Gulab Jamun, peda, khurchan, Pether, rewdi, gajak, cake milk, balusahi, BAL MITH, singori, Kulfas, falooda, Khaja, ras malai, gulqand, and several varieties of laddu of halwa and barfi. Some North Indian foods, such as the various kebabs and most meat dishes began with the arrival of Muslims in country. The countries known as Pakistan and Bangladesh were a part of India's north and east before the partition of India. As a the result, the kitchens in these countries are very similar to Indian cuisine Nordic and Eastern Europe. The South Indian cuisine is distinguished by a greater emphasis on rice as a staple grain, the liberal use of coconut and curry Coconut oil leaves in particular, and the ubiquity of sambar and rasam (also called the saaru) for meals. Cooking South Indian vegetarian is much more than in the north-friendly Indian cooking. The practice of naivedya, or ritual offerings, to Krishna temple dog Krishna in Udupi, Karnataka, led to the model of Udupi vegetarian cooking. The dosa, the IDLI the vada, the bonda and bajji are snack typical of southern India. The South Indian cuisine is not limited to snack above, which are very popular. Andhra, Chettinad, Hyderabad Nawabi, The kitchens all Mangalorean, and Kerala have tastes and different cooking methods. The annual shopping extravaganza, the Dubai shopping festival has begun. The shopping festival has started on 15th of January and continues till February 15th. During these days Dubai will be a true paradise for shoppers. Dubai shopping festival is also an entertainment, and cultural extravaganza that continues to promote tourism in Dubai and draws people from around the world each year. Travel agents in India has started arranging tours to this biggest shopping and entertainment event in the Middle East. Indians especailly people from kerala used to visit dubai during shopping festival. There are lots of indian who are working in dubai staying in the dubai bring their families to dubai for shopping and participate in this cultural and entertainment extravaganza. Not only those people many celebrities from India used to visit Dubai during this shopping festival.The tour packages arranged by these travel agents will provide you with tickets from to Dubai and from Dubai, accommodation in hotels and sight seeing facilities in Dubai. Since 1996 Dubai shopping festival has been a grand success with participants and people from all over the world. In the wake of success of Dubai shopping festival, the tourism department of kerala has organized grand kerala shopping festival for last year onwards. Srilanka the beautiful island nation has got enough potential and possibilities to usher in the field of tourism industry. Srilanka is blessed with beautiful beaches and exotic hill destination and mind blowing landscapes to satisfy each and every tourist. Because of the political and communal issues in srilanka and the global meltdown has affected tourism industry a lot. Recently Srilanka has sought India's help in strengthening tourism to meet the challenges posed by the global meltdown. This issue faced by srilanka was discussed in a meeting between Tourism Minister of india and the Sri Lankan counterpart Milinda Moragoda. The the srilankan tourism minister has expressed his perpective to participate in the travel marts organised by India, for instance the Great Indian Travel Bazar. Praising India's efforts against terrorism in the wake of the Mumbai terrorist attacks, Moragoda said his country would like to exchange ideas with India on security aspects relating to the tourism sector. Privately managed airways Jet Airways, along with its low-cost airline JetLite, was India's largest domestic airline operator in the year of 2008. The airline has served about 12.01 million passengers for a market share of 29.5 percent in the previous year. Second largest carrier in terms of number of passenger carried was Vijay Mallya's Kingfisher Airlines, along with its budget carrier Kingfisher Red, flying 11.26 million passengers to capture a 27.6 percent market share. This data has been publised by civil aviation ministry. The government managed Air India's domestic operations, which earlier operated under the Indian Airlines brand name, has got a sloppy performance and served just 6.63 million passengers for a market share of 16.3 percent. Even after the proliferation of low-cost carriers like SpiceJet, GoAir and IndiGo, the scheduled carriers continued to dominate the market with a 54.7 percent share. Overall, Indian domestic carriers ferried 40.7 million passengers in 2008, a marginal drop of 5 percent over the previous year. Indian carriers carried 42.8 million passengers in 2007. This results shows that more and more Indians are looking for private airlines especially budget airlines to commute within India. The global economic down town and terrorist attacks in various part of India, particularly the strike of 26/11 in Mumbai, had no impact on foreign tourists arrivals to India. India has received a number of 5.37 million passengers around the country came in 2008, a report published by the tourism the ministry said Monday. According to the latest figures released by Ministry of Tourism, 5.37 million tourists came about in India As compared to 5.08 million in 2007. Earlier there was much tension among the travel agents and hoteliers that these terror attacks and economic slowdown will adversely affect the tourism industry in India. The number of tourists arrivals in December was high compare to the previous month. This statistics has been published after taking reports from major airports in India. Officials said. The ministry of tourism has said that revenues of foreign currency from tourism have also gone up. In 2007 it was Rs.440 Rs.500 billion in 2008. This is a positive sign that Indian tourism industry has got business even in the worst situations. India is known for its exotic beach destinations. Beaches in goa and kerala are world famous and receives visitors from around the world to spend their holidays. Other than these beaches india has got more beach destinations where one can enjoy the golden sands and relax. This blog indiatravelstours.blogspot.com is conducting a survey on selecting the best beach destination. You can find this online survey on the left panel of the side bar on this blog. Cast your vote on the best beach destination to find the best beach destination in india. A new luxury train launched in association with Rajasthan Tourism Development Corporation and Indian Railways. This train is launched after the success of Palace of Wheels train chugging in the parts of Rajasthan. The new train will also cover destinations in Rajasthan. The train has been flagged off recently from the state capital for its maiden journey. After the launch of this train minister of tourism development has promised the nation for similar trains in the country through central and state government partnetship. The minister has also added that the state of Rajasthan is famous around the world for its heritage tourism and it is the need of the hour to have a luxury train like these, where one can aware themselves with the culture and traditions of Rajasthan. The Indian Railways and RTDC is already operating another luxury train named 'Palace on Wheels' since 1982. With regard to journey in palace on wheels most of the tourists are from overseas and their feedback regarding the tour has been excellent. These responses from the travellers has persuaded the government to add a new luxury train to tour in rajasthan. This newly launched train will follow the same itinerary that is Delhi-Japiur-Jaisalmer-Jodhpur-Sawai-Madhopur-Chiitogarh-Udaipur-Bharatpur-Agra-Delhi. It may soon allow the airline to buy foreign equity participation in domestic carriers, a senior government official said here Wednesday. We are in talks with the custodians of industry. We must first evaluate how much additional investment we need in the form of FDI in the aviation sector, Secretary M. Madhavan Nambiar said aviation chambers of Indo-US trade summit. Although it allows foreign investment up 49 per cent in the Indian air operators, foreign carriers are still prevented from possession of the stake in domestic carriers. Many foreign carriers, however, have shown interest in having a stake in Indian Airlines. Nambiar said the government signed a bilateral security agreement with the U.S. next year, which would help both countries share their technologies. The bilateral aviation safety (BASA) is expected to help Indian companies launch their products more effectively in the global level, an official of Ministry of Aviation said. Indian Railways will open 52 food plazas at major railway stations across the country in association with Indian Railway Catering and Tourism Corporation. An approval to IRCTC’s proposal for setting of two Rail Neer water plants at Pallur in Chennai and Ambernath in Mumbai is given by board of directors in the railways. Indian Railway Catering and Tourism Corporation has already started 53 food plazas based on private public partnership and more food plazas are getting completed. Indian Railway Catering and Tourism Corporation has also granted permissions and licenses for managing 40 mini base kitchens across the country. Kingfisher Airlines will begin flying its daily Mumbai-London from today and after. For this halcyon direct flight an aircraft provide the business and tourist classes. The brand new Airbus 330-200 will be deployed for this trip. According to the kingfisher that rais equip the flight has almost completely on its maiden flight. The airline also plans to The kingfisher plans to launch operations in Mumbai-Hong Kong from January 12 and Mumbai flight - from Singapore from January 16. It also start its flight from Bangalore-Chennai-Colombo from January 19. The flight from Mumbai-London will take off from Mumbai at 1.50 PM. and arrive at Heathrow at 5.55 PM The return flight would leave London at 8.30 PM and arrive in Mumbai the next day at kingfisher 11 am planning to launch operations in Mumbai-Hong Kong from January 12 and flight from Mumbai-Singapore from January 16. It will also launch its flight from Bangalore-Chennai-Colombo from January 19. Popularly known as the UP, the Indian state of Uttar Pradesh is the quarter - the largest and most populous state in India. It is also home to the Taj Mahal and ethereal is among the most visited states in the country. With most tourists in the title of India for this state, it seems that everyone wants to know Uttar Pradesh and its culture. Everything about Uttar Pradesh spoke of the history, culture, vibration and modernity, thus making it a great place to visit during your tour of India. In fact, there are so many say about the Uttar Pradesh it is impossible to exhaust all the information to go. Speaking about the history of Uttar Pradesh, it is the place where Sama, the Yajur and Atharva Vedas were composed. In addition, Uttar Pradesh also calls for a deep connection with Lord Rama is said that ordering Ayodhya. Uttar Pradesh is one of the most fascinating that you can not explore during your trip to India. This landlocked state is also the largest and most populous state quarter - in India. The hills, rivers, temples and monuments many dot the landscape of Uttar Pradesh to making this a great place to explore. However, the magnificent Taj Mahal is by far the biggest attraction of Uttar Pradesh. The state also boasts a rich history that spans centuries by and associated with certain incidents and the most important people in India the history of s. As you explore Uttar Pradesh, you will also be made aware of its rich culture and wonderful people that you would fall in love with the state. Uttar Pradesh is also home to holy cities of Varanasi, Mathura, Haridwar and in Allahabad which offer you an insight into the deep Hinduism as a whole. Add to the numerous wildlife sanctuaries, the picturesque hill stations and the resources you can visit while you explore Uttar Pradesh. The travel portal in India offers many options to explore Uttar Pradesh and its surroundings. With a dedicated team working on some packages of very interesting trip, we managed to add a whole new dimension to the journey of Uttar Pradesh. Exploring all our packages of Uttar Pradesh gives you enough time to know the place and enjoy a holiday time in life. Use the services we travel portal in India Uttar Pradesh and explore like never before. Uttar Pradesh also boasts of Hindu holy towns of Varanasi, Mathura, Haridwar and in Allahabad. The Kumbha Mela is held every 12 years is another attraction of Uttar Pradesh. The state is also known for its unique cultural facility and offers very much to all its visitors. There are so many know Uttar Pradesh and its people that a visit to the state is a necessity. Visit a wide range of up tours / uttar pradesh tours offered by indian tour planners. Rajasthan is the largest state in india located in the northwestern region. Jaipur is the capital city of rajasthan. For centuries rajasthan was famous was rajputana which reflected the ground Rajputs. The remnants of these once flourished kingdoms are still alive and a major attraction among the tourists who visits the state. The royal palaces of these kingdoms of rajasthan are also an attraction for the visitors of rajasthan. Rajsathan, Once known as "land of kings ", the state still retains the glory and richness of these periods with its wonderful monuments, colorful traditions and customs. Most of the rajastan state is covered in desert named as the thar desert. Rajasthan has got two major rivers sutlej and indus. Rajasthan shares its border with the neighbouring country pakistan. Rajasthan tourism is offered as a perfect destination for tourists and travel opportunities are immense for a travel enthusiast. One can enjoy a variety of experiences in the state of rajasthan. If it's sand dunes, wild life journey, desert safari, forts and palaces, the colorful tribal life or fairs and festivals of Rajasthan, travelers to Rajasthan are certainly a truly majestic experience. Indian Tour Planners is a leading rajasthan tour operator. We have been acknowledged for our exclusive and enchanting tours to rajasthan. Indian Tour Planners who has been in the industry for more than 10 years offers world class services and is definite to meet your needs and specifications for your tours in rajasthan. The company specializes in organizing uniqueRajasthan tours including rajasthan india tour, rajasthan wildlife tour, rajasthan temple tour and all other rajasthan tour package for a comfortable stay and enjoyable rajasthan holidays.